Looking at the housing market from a policy perspective, TREB is encouraged with the provincial government's recent announcement and on-going public consultation regarding a housing supply action plan. "Housing supply remains a key issue in the GTA market. More specifically, an adequate supply and appropriate mix of housing types must be part of the conversation, as has been recognized by the provincial government in their consultation documents. Transit supportive and gentle density 'missing middle' housing should be a priority. 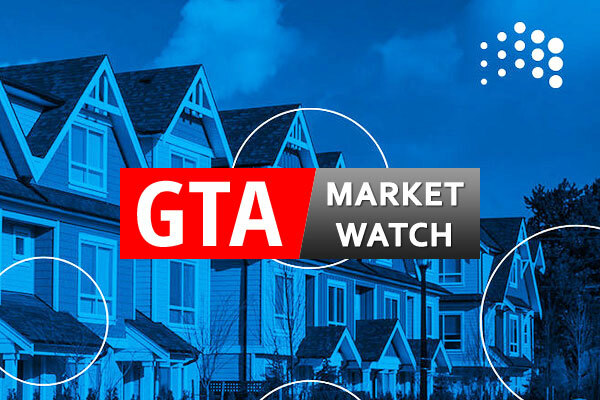 TREB has commissioned research on these subjects and looks forward to sharing it at our Market Outlook Economic Summit on February 6, 2019, and as part of the provincial government's consultations, when results are available in coming months," said TREB CEO John Di Michele. "TREB is also encouraged that the provincial government remains committed to public transit expansion. TREB has long advocated for improvements to the Greater Golden Horseshoe transit and transportation network, and feels the time is right to have a conversation about the level of provincial and municipal responsibility that would be the most efficient arrangement to realize subway expansion sooner in Toronto, and the GTA, as this will impact the housing market," added Mr. Di Michele. ¹ Preliminary seasonal adjustment undertaken by the Canadian Real Estate Association (CREA). Removing normal seasonal variations allows for more meaningful analysis of monthly changes and underlying trends.